This newborn baby boy is held in his father's arms, content and happy. The photo is cropped so you can only see the dad's arms, and is processed in black and white. 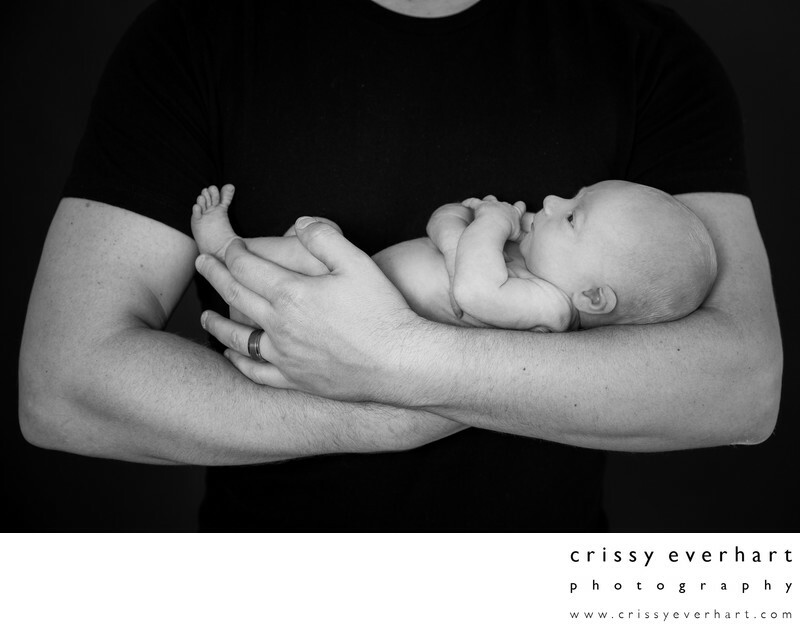 I love photographing the bond between the parents and new baby and this image illustrates a father protecting his son in his embrace.